Properties in Watts Cemetery Chapel average 4.4 out of 5 stars. 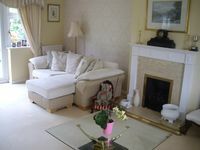 Property 8: Cosy holiday home in a quiet area of Midhurst, West Sussex. Property 18: A beautiful property, centrally located in Guildford. Your home away from home. Property 31: Contemporary, cosy, stylish Victorian home in Royal Berkshire. Property 33: A modern Family home, renovated to a very high spec, inc separate log Cabin.